The mansion hosts a hostel, so it is possible to stay on-site, in the same building where the milongas and classes take place. On-site accommodation can only be booked through us. The number of beds is limited, depending on your preferences (read below) the mansion can sleep from about 50 to 100 people. 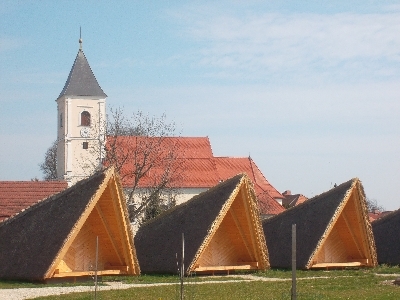 The other option is to live off-site — there is a number of nearby places to stay. Take this option if you want something a bit fancier or prefer more privacy. We do not manage the off-site bookings — please contact the places yourself. 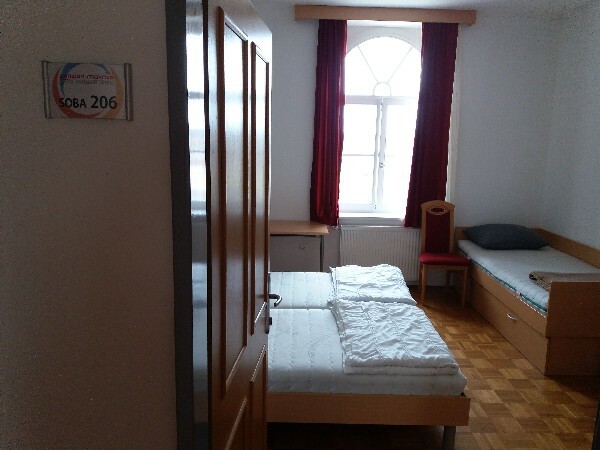 The on-site accommodation is basic, but nice: Penzion Mavrica (The Rainbow Pension) is nominally a pension, but think of it in terms of a hostel, as most rooms contain bunk beds. Also, do not expect each room to be the same: some are bigger than others, some have a small kitchen, others bunk beds etc. We will do our best to find you a place where you will feel comfortable. In order to do that we will ask you to rank your preferences when you register. All accommodation types we offer come with a halfboard package, i.e. breakfast & dinner. This way you will not need to worry about finding a place to eat but will have endless fun embracing your friends while the great local chef Nada will take care of your hunger. Both breakfast and dinner are served buffet style. We'll be served local food (which is gooood!). Drinks (house wine, juices, water) are included. At registration, you will be asked to specify any special dietary requirements (vegetarian, allergies). Most rooms contain a mixture of normal and bunk beds. Some bunk beds are shorter (180 cm) than others (200 cm). At registration, you will be asked if sleeping in the shorter bed is ok for you. It's a great opportunity to check your height now — as we know that people tend to grow when they start dancing tango ;-) — since we wouldn't like you to injure your head bumping into a wall during your sleep. Private double and triple rooms with bathroom. Choose your roommates (sorry, we cannot offer single bed rooms) and book the room together. The most basic accommodation on the top floor of the mansion. Allows for big after parties :-) 28 beds spaced throughout the attic, 8 toilets, 8 showers. Be adventurous, go glamping! Choose your roommates and book the earth lodge together. Each lodge sleeps 4, bathroom facilities are on the camp site, towels and bedsheets are included. For a couple euros more, your glamping can be more private, i.e. only for two persons. Bring your own tent and camp in the tiny camp site side by side with the earth lodges. RVs welcome, and it is also possible to rent a tent.